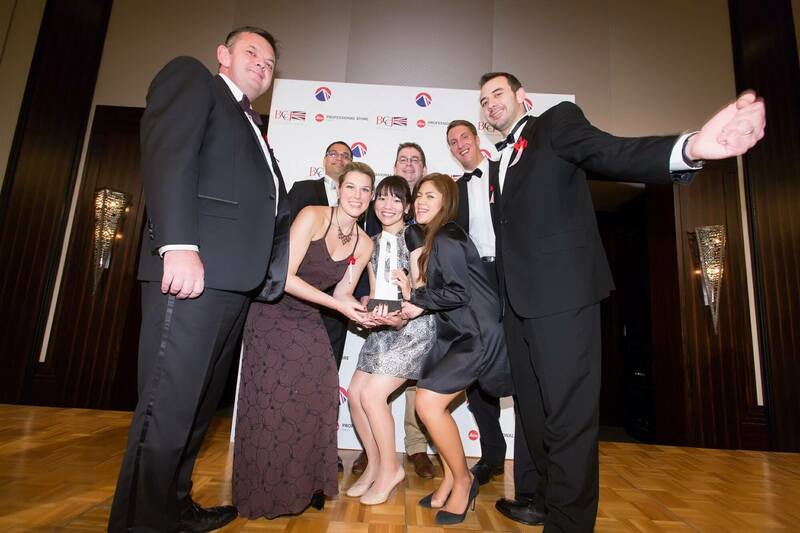 Custom Media has been named Company of the Year at the British Business Awards. Michael Woodford, the Olympus whistleblower, and Jon Harding, chief operating officer of UK Trade & Investment, were among the six independent judges who awarded the Tokyo-based media and design agency the coveted gong. The award recognised the company’s values, diversity, growth and development in the past year, and for BCCJ ACUMEN magazine, which it has been publishing since December 2009 in an era of bankruptcies, deflation, disinvestment and natural disaster. The British Chamber of Commerce in Japan (BCCJ), which hosts the annual gala event, had appointed a panel of six senior leaders based in Japan and the UK to judge 51 nominees in six categories. Before revealing the winners, British Ambassador to Japan Tim Hitchens CMG LVO congratulated UK businesses for their achievements in Japan. “This evening is a wonderful testament to what has been happening in the British business community here in the last 12 months”. Receiving the award, Robert Heldt, president of Custom Media, said it was a great honour and surprise to win the Company of the Year award, especially given the illustrious opposition. The other nominees were Rolls Royce Japan, Co., Ltd.; Bentley Motors Japan; British Airways; PwC Japan; Oxford Instruments K.K. ; and Robert Walters Japan K.K. I want to thank my business partner Simon Farrell and Jane Best, the CEO of Refugees International Japan, who nominated Custom Media for this award, as well as our great team at the office, the BCCJ executive committee and secretariat, and our loyal advertisers and other clients. Founded in 2008, Custom Media employs 15 full-time staff at its Akasaka office. The company also produces the Business in Japan TV (BIJ.TV) online video channel and publishes the ACCJ Journal for the American Chamber of Commerce in Japan. Attended by 220 guests, the November 1 black tie event at the Mandarin Oriental, Tokyo was as British as the Dover sole and clotted cream on the menu. The meal also featured toasted English muffins, baked Scottish salmon and truffle-flavoured lemon chutney, along with beef and grain mustard gravy, fidget pie, and braised red cabbage with Earl Grey. A bottle of scotch decorated each table while guests also enjoyed Stilton, nut and dried fruit hot tart, with Cotswold honey ice cream and blackcurrant compote. Conspicuous this year in Japan have been British business, culture and diplomacy, with the BCCJ marking its 65th anniversary and various events being held to commemorate 400 years of UK–Japan ties.